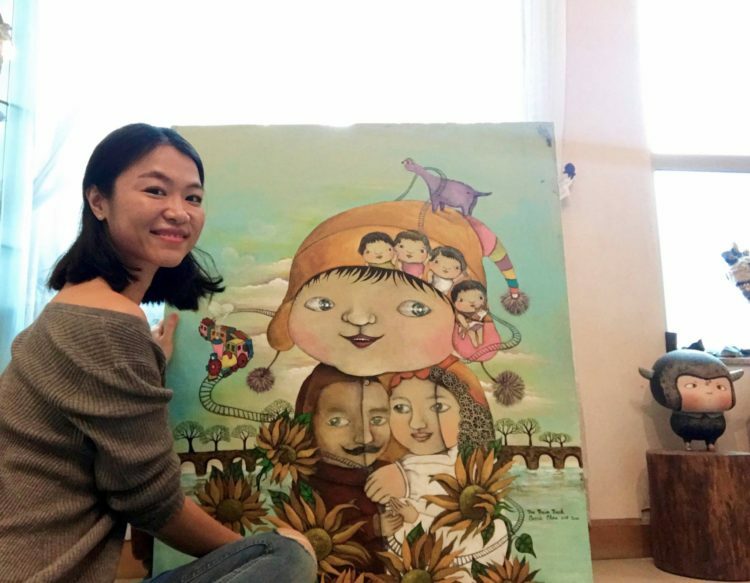 Caption: An EDiversity mother in Hong Kong shares her experience of discovering Parenting for a Peaceful World during her challenges with breastfeeding her child. Watch the full video below of EDiversity mothers talking about Parenting for a Peaceful World. 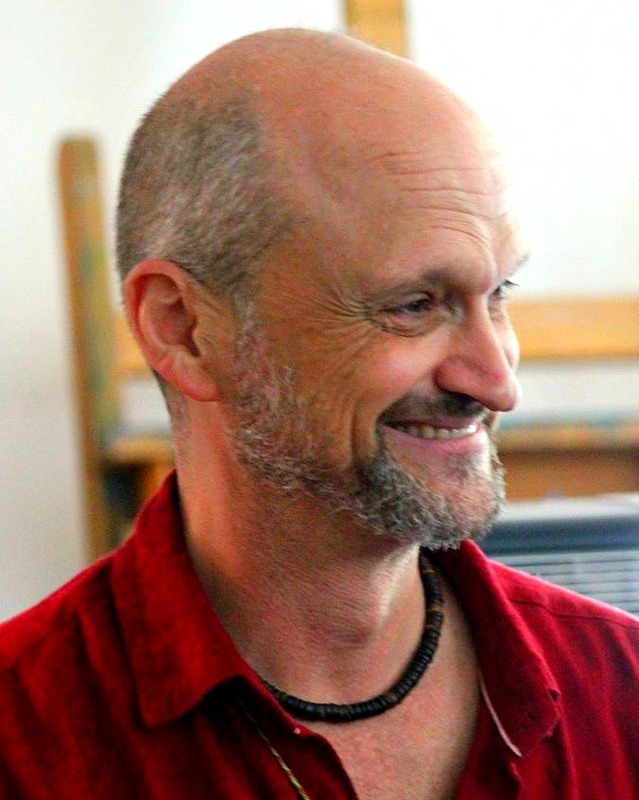 Then listen to Robin Grille share his response to the book’s translation by the Hong Kong homeschooling group as well as ten years of insights and travels with the seminal book. Robin Grille shares his journey with a homeschooling group in Hong Kong, EDiversity, who have fought for Parenting for a Peaceful World to be translated into Catonese and distributed in China in 2017. Robin shares his insight into cultural changes happening in China and around the world at this time. He believes the “backlash” experience to the dying dominator and authoritarian models (Old Story) of parenting, education, culture, and government are breeding last gasp grabs for power as humanity’s New Story emerges. Robin covers his talk at the UNICEF Baby Friendly Initiative in England and his presentation at the Healthy Birth, Healthy Earth Sumit at Findhorn, Scotland. 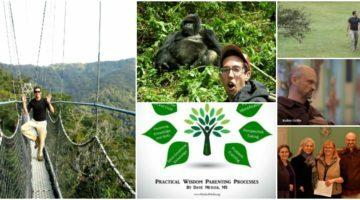 He throws in the kitchen sink with insights from PFPW, guidance from his book Heart-to-Heart Parenting, and his admonition to all activists to “not look for predictions of the future but to set their intentions for how they want it to be” and work in that direction together. Robin is a contributor editor to Kindred and a co-creator of its Children’s Wellbeing Manifesto. 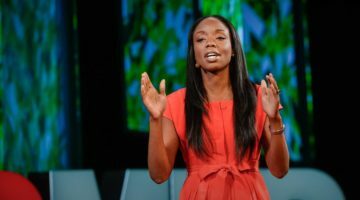 This is a fun and epic interview with one of the most celebrated thought leaders of the conscious parenting movement. 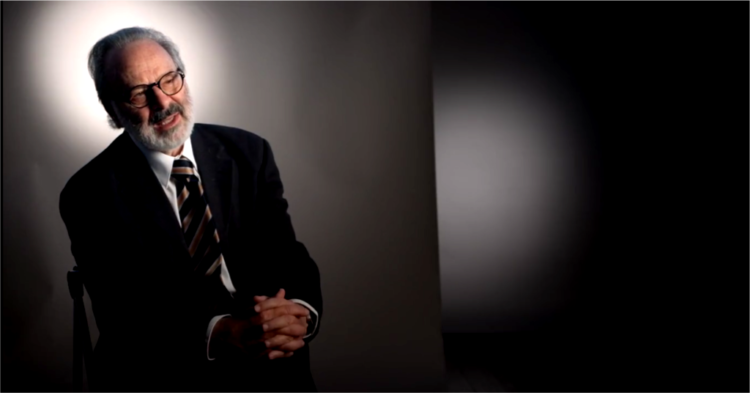 Watch Robin’s Parenting for a Peaceful World Video Collection. 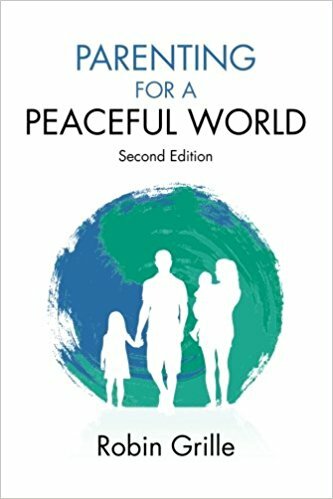 PARENTING FOR A PEACEFUL WORLD GOES TO CHINA! 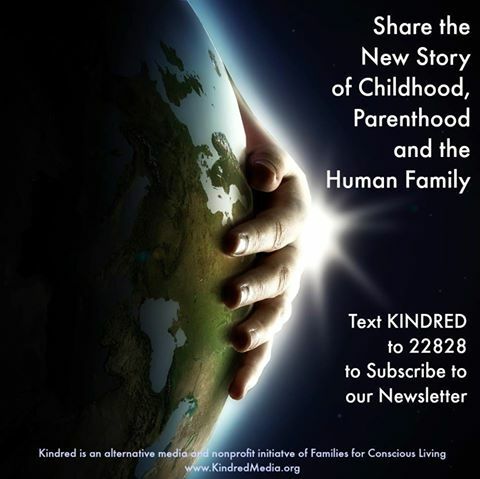 LISA REAGAN: Welcome to Kindred Media and Community. 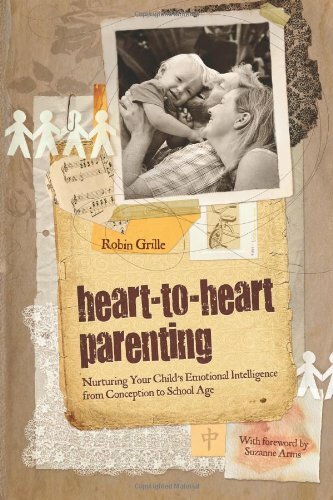 This is Lisa Reagan and today I am talking with Robin Grille, author of Parenting for a Peaceful World and Heart-to-Heart Parenting. Robin’s book Parenting for a Peaceful World is slated to be translated into Cantonese and distributed in China next year by EDiversity (see their video above). Today, we’re going to cover the origins of the book, how it has been received worldwide in the past eleven years, and where Robin has traveled with his message recently. So welcome, Robin. ROBIN GRILLE: Hi, Lisa, it is really good to be speaking with you again. It has been a while. LISA REAGAN: It has been a while. We have a big update ahead of us and I look forward to sharing all of your great news with everyone. ROBIN GRILLE: Yeah me too, thank you. LISA REAGAN: So maybe tell us a little bit about how is Parenting for a Peaceful World going into China. ROBIN GRILLE: Well, that was just a really lovely surprise to receive a communication from a group that I was not aware of their existence. They are a very, very vibrant homeschooling group in Hong Kong. They call themselves EDiversity. I think it probably stands for educational diversity. They are part of a backlash I suppose you could say against a real high pressure cooker-style of education that seems to predominate in East Asia, in China, in Korea, or in Japan: long hours, extraordinary amounts of homework, and enormous pressure to perform highly. You know, things are so competitive. There are ways of dysfunction that comes from that. 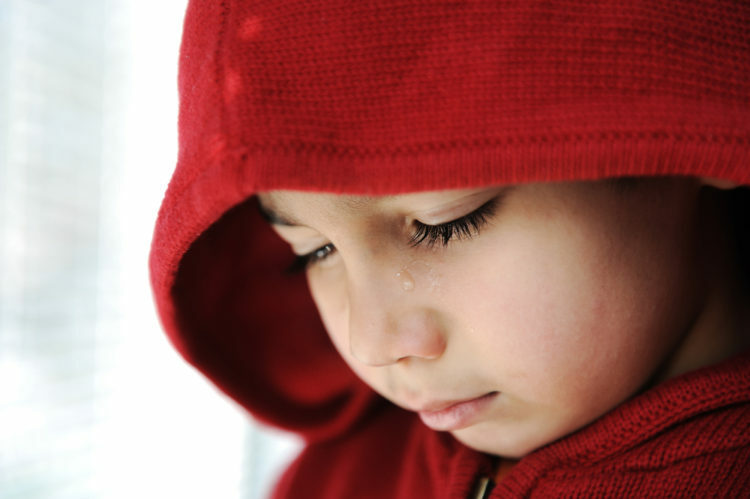 Kids that are just breaking down psychologically and it results in all kinds of things including bullying, like high rates of bullying, school refusal. So against that background is this wonderful, progressive, incredibly dynamic group of families that are banding together around the book and just protecting their right to educate as they want at home. They are really educated parents. They are all professional. A lot of them are teachers and they are just putting their foot down and saying “no more of that for my child.” So somehow, somebody there got ahold of my book. You know, this is the age of the internet I guess and nothing is hidden anymore. They were so enthused by my book Parenting for a Peaceful World and the sense of the manifesto that it provides for reform of child-rearing and education and the difference that is already making in the world. So they tried really hard to find me a publisher in the Chinese world. We had a few publishers turn us down. I tell you, they were absolutely relentless, relentless. There was never going to be a plan that they gave up. ROBIN GRILLE: I am quite blown away, really, by the enthusiasm and the hunger and the determination to make change. They see my book as one of the tools that they really want in their arsenal. I also started having mixed feelings because I began to learn that for my book to go into mainland China, I don’t think that it would have the respect of a faithful translation and I think that my message was very much at risk of being diluted or edited or changed and there is no way in the world that I want to live with that. I would rather the book just be put to sleep before somebody puts a different message to my name. I said no, no more, I don’t even want that to happen. If my book never makes it into mainland China, then you know, that’s okay by me. But we came to an arrangement where EDiversity have become the publisher and in their hands, I trust them implicitly, explicitly, unblinkingly. They have my absolute faith. I know them. They’re good people. You know, they’re fierce. Gosh, it’s such a joy to work with them. They had to raise the money by crowd funding. ROBIN GRILLE: Because they really want to print by demand. They want to have stock of the book on paper. They’ve got wonderful people helping out and donating and backing it and beautiful artists and who said, “Look, I’ll provide the artwork for the cover, etc.” What a great pleasure. It is going to be in Cantonese. You know, China is not just China. The Chinese speaking world is everywhere. You have got them in Indonesia, Malaysia, parts of Africa, all over North America, as you know, Australia, New Zealand. There are Cantonese speakers everywhere. So I am really thrilled. LISA REAGAN: So the US is importing the Tiger Mom book and model while Hong Kong is importing Parenting for a Peaceful World. That’s very interesting. ROBIN GRILLE: Oh, wow, Lisa, that’s exactly what is happening in Australia. I am hearing from school teachers that say, we don’t really believe in giving homework to primary school children. We don’t like it, we don’t agree with it, but we just get so much pressure from our immigrant families from East Asia who get angry with us if we are not giving enough homework and if we’re not really getting on the kids and pushing them hard. So there’s a lot of this cultural change that is going in that direction driven by immigration and – you’re right – that at the same time, in the mean time in East Asia, they’re saying we’re sick of this. We don’t want to become American or English, nor should they ever be, but the way that they’re freeing themselves from their traditions is in their own style and there is a great hunger and drive for democratizing family and school. Now, the thing that I am really fascinated by is the growing sense that I have been given that there is something a little bit like the 1960s going on in China, that is growing and developing. There is a tremendous hunger for new ideas that break with the old. There is a new way of doing gender relationship and new ways of doing politics and new ways of doing everything. They are not just going to copy what happens in California or New York right in the 1960s, so you’re not going to get the same kind of thing; they’re going to do their own thing. That’s exactly what we would want. But it means that some big changes are at foot and boy are they hungry for new and they will take it from anywhere in the world where it serves them. I have spoken to writers and therapists in the western world who are being discovered in China and being taken from. They take the ball and they run with it. You know, we got to wonder. We have got to be curious about what is that going to do to Chinese society? What can we extrapolate here? Because you know from my book that you cannot change childhood without changing all of society afterwards. It’s just one leads to the other. LISA REAGAN: Well, let me just pause right here, because this is what I want to do just in case anyone listening is unfamiliar with Parenting for a Peaceful World. If you could just give us a quick overview of it and then go back to telling us how you see it impacting Chinese culture and families potentially. ROBIN GRILLE: Do you mean what would I hope for or what my dream is? LISA REAGAN: What would you hope for? ROBIN GRILLE: Yeah. The first thing that I need is as much humility as you can deliver in a truck because they will do what they do. They will do what they do. The only way that they will do it is in their own way because there is no other way. And having said that, whatever is authoritarian, whatever is authoritarian in families and in school becomes toxically authoritarian in government and in business and I would like to see that dissolve in China in the same way that I want to see that disappear more and more and more from every other country in the world, every other culture. Because authoritarianism and patriarchy is at the very center of what is causing us to destroy our planet and to put ourselves at risk of self destruction too. All of our problems can be traced down to that at its very center. The interpersonal dynamic of power over, one person having power over another is corrupt and it is violent and only violence and corruption can come from it in the end. So, if somebody in the Chinese universe can use my book as a part of a library of resources for neuro-social evolution that can remove authoritarianism and every fear in human life, I would be ecstatic about that, absolutely ecstatic. I think the whole world would benefit. People in the west have become accustomed to speaking about China in fearful terms and, you know, we think of China and we want to think of this gigantic population that will export all kinds of bad stuff – Chinese arms race and building islands in the Pacific where they will station their Navy and all of that kind of stuff. And I think that awful kind of fantasy is predicated on the assumption that everything is going to stay exactly the same as it is now and that societies do not evolve. I think we need to take pause and look because there is a social revolution going on in China and really, my book just kind of got vacuumed into that as one grain of sand that is part of the much larger picture. So that is really something to watch and something to be very excited by. Authoritarianism in politics will not stand. It cannot stand when families start to live and expect kind of a more democratic life. Change does not come from above. It actually comes from the ground up. It is happening. It is starting to happen. LISA REAGAN: I don’t want to derail us too much with any kind of political grenade, but here in America we have the reality show of an authoritarian-from-hell running for the most powerful position in the world, the United States President. We could spend hours talking about how did that happen. ROBIN GRILLE: Well, but it does, what you’re talking about Lisa, I am glad you brought that up and it’s not separate, it is completely part of what we’re talking about to do with how child-rearing reforms drive in your future. The presidential horror that is happening in your country is not too different from what is happening in Australia, I assure you of that. It is exactly the same thing playing out in slightly different ways and the same in parts of Europe and the UK. I am pretty sure that what’s going on is that we’re living in a moment of backlash. You could easily take Donald Trump and Bernie Sanders, not just as individuals who are struggling, but as symbols, for a much larger struggle that is going on around the world at the moment, because what happens when the new grows to a particular size, it starts to become enough of a stretch and the old begins to die and everybody that clings to the old starts to get extremely threatened and will therefore become more organized and more resistant and more violent for a while. You’re seeing as the world becomes more loving, as people stop giving allegiance to these kinds of delusions of separation – like you identify with a tribe or you identify with a country, or you identify with a race. And by the way there is no such thing as a race. There are no races, genetically speaking, there is no such thing as black or white. ROBIN GRILLE: It’s really a cognitive condition. I mean, there are cultures and there are cultures and ethnicity too and we should value and we should really appreciate that, but you can’t draw a line around it. It’s completely nonsensical. But somehow, we tend to divide up into these gangs. But that’s dying. It’s dying. If you are the sort of person that is highly identified with a nation or with a race or a religion, boy is that under threat right now because people are loving each other and mixing. The internet and other forces are making these boundaries and identities increasingly meaningless, you know. So in a way, as racism disappears, you are seeing more racism, because there is a backlash from the old. It is getting worse for a while. It is a perilous time, but there is a context for that backlash. LISA REAGAN: The context part. That is what I deeply deeply appreciate about Parenting for a Peaceful World. I bring that up all the time and have since the book came out. Please look at this book in order to see the context of what you’re doing. 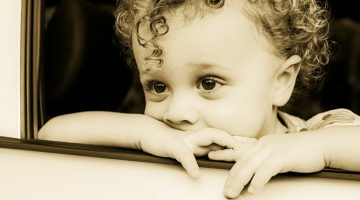 Why are you feeling conflicted perhaps in your parenting choices? Is it because as Joseph Chilton Pearce, the Grandfather of the Conscious Parenting Movement, said, “We have cultural imperatives telling us one thing and our biological imperatives driving us in another direction towards wellness for our children and we end up in this bio-cultural conflict” is what he called it. Your book is the only book that I know of that allows us to take that journey and to come away feeling, I think, very positive about where we are right now if you have enough context. ROBIN GRILLE: Uhm, yeah. It is important to understand that whenever there is a big leap forward in social evolution, immediately you will see a backlash. Because people will sometimes defend their identity even more than they will defend their biology. People will die for a belief even if that belief is toxic. But if the belief is something you believe in you feel very threatened. I think what is at war right now is two opposite styles of parenting. I don’t want to label the issue, but it is useful to use the Donald Trump versus Bernie Sanders, and I know Bernie Sanders is not a presidential candidate, but he is really representing the new. He is representing a new form of society in every way. Far more than Hillary as you all know. I don’t have to tell you that. If I see that, they are representing two radically different styles of parenting that they both come from. Imagine the childhood that Donald Trump would have had and imagine the childhood that Bernie Sanders had. Imagine the childhood of the most rabid Donald Trump supporters and how rigid and closed off they are mentally and imagine the childhood of the most devoted and committed Bernie Sanders supporters. One is heavily authoritarian. The other is much more dialectical and democratic. That’s what at stake. There is a battle of two different styles of society and two different styles of parenting and the reason that battle is really coming to a head right now is that the new has become so large that the old is really afraid and it is sticking to its guns in a very very literal sense of sticking to its guns. There’s going to be some trouble I think for a while. LISA REAGAN: So in addition to Parenting for a Peaceful World going into China now, you have been on the road for the last year and you have taken your message of the neuro-social evolution as you call it to the UNICEF Baby Friendly Conference in London last year and then you were just in Findhorn in Scotland, which was one of the most spectacular looking conferences I’ve seen, the Healthy Birth Healthy Earth conference, for those of you who don’t know what Findhorn is, I’m just going to let Robin, you can just tell us about both. I am looking for hopeful, positive directions. This nebulous conscious parenting movement that seems to be happening sometimes and other times, I wonder. But if I follow you around, it looks like, yes, there is movement. ROBIN GRILLE: Yeah. Again, just a very quick correction. The UNICEF Baby Friendly Hospital Conference, Baby Friendly Initiative, it is called. That UNICEF conference was was in Harrogate, which is in the North of England. There were about 750 delegates there from all over the world. That was 2015 in November. ROBIN GRILLE: Just now, we got back from Findhorn, as you were saying, which is just the most magnificent and the most dynamic and so well established intentional community. It is quite large. There must be I think hundreds of people living there. Apart from the fact that it is a magical place environmentally, it is a beautiful environment and little townships around the place in the North of Scotland, it is a fantastic model for living sustainably. They grow their own food organically. They cook the most beautiful stuff. They are so in tune with their natural environment. It is a very very peaceful place. They generate their own electricity. They have wind turbines. They collect their own water and recycle their own water. They share a very small pool of electric cars, fully electric cars. It feels good just being there. The UNICEF conference addressed the drive to restore breastfeeding and their concern is human health. My concern is human health plus, that it is not too simplistic to say that you can breastfeed the world back to peace, because with enough people being breastfed in a loving way, it irrevocably changes the neurology of the child and primes the child’s body and neurology and biochemistry. 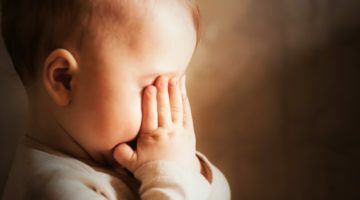 It primes the body of that child towards easier access to blissful states of connectedness and loving relationships to both the human and non-human world. There is a chemical pathway that you can track that explains everything that I just said. It is not that breastfeeding is everything, but boy is it a powerful element in the creation of a loving world. ROBIN GRILLE: Yeah, that’s right. What it does is it doesn’t make mothers feel guilty, that’s the wrong thing to say, but mothers end up making themselves feel guilty when they’re confronted with the truth of this is necessary for you and your baby and if you don’t get the right support, this will fail you. I do my best to try to urge mothers to stop feeling guilty and start getting angry. ROBIN GRILLE: Guilt is the presumption that you’re doing something wrong and you’re not. ROBIN GRILLE: The world is doing something wrong to you because if you had the right support and sufficient support, you wouldn’t really need to be pushed into breastfeeding. You would be carried into a very delicious stated of connectedness through that process. Don’t get guilty and don’t blame the messenger. That’s just dumb. Get angry! ROBIN GRILLE: That makes more sense. 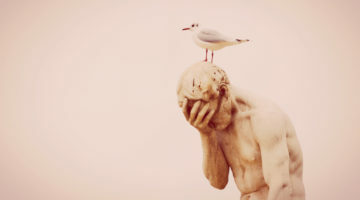 There is a tremendous backlash of guilt and it’s around the world I am seeing exactly the same pattern wherever I travel and so of course, the thing is, this ten step initiative from the World Health Organization and from UNICEF. It is not sufficient and it is not enough. We need more public policy that really supports families. Just because something is not enough, it doesn’t mean that it isn’t absolutely necessary. The reason why, when you look at the history of this, the reason why the ten step baby friendly hospital initiative was put into place is because there has been an absolute war against breastfeeding from the gigantic and spectacularly profitable drug cartels. I would like to call them, the pharmaceutical companies, that lie through their teeth and will allow all kinds of human dysfunction to happen. They don’t care as long as they can sell more artificial baby formula. That has been a planetary campaign to destroy breastfeeding because breastfeeding is competition. Breastfeeding mothers can do free of charge and it means that they’re not buying a product that is immensely profitable for the shareholders. When you look at the relentless and international unstopping incredibly aggressive and vicious campaign from artificial formula companies to destroy breastfeeding around the world, no wonder there is so much urgency to bring it back. But I really agree that mothers need more than a ten step process in the hospital. Mothers need support to be able to take their babies with them where they go. LISA REAGAN: Robin, let me share quickly with the listener, two resources on Kindredmedia.org. One is your UNICEF talk It is over an hour long, by the way. The second piece is, there is a new book out there called Unlatched that covers exactly what you’re talking about here: the history of the war on breastfeeding. A review of that book by Darcia Narvaez is at Kindredmedia.org. ROBIN GRILLE: Thank you for that. Yeah, the whole story is there. So who are the breastfeeding nazis? The breastfeeding nazis are the people that took it away and sold you the lie in its place. It really horrifies me how that has been done to an entire species, really? So, but it is slowly coming back. Then you asked about Findhorn, did you want me to speak to that a little? LISA REAGAN: Yes. Yeah. Oh gosh, yeah. Findhorn. Tell everybody, it is this beautiful Scottish castle and then it is surrounded by an eco-village and they have this Healthy Birth, Healthy Earth conference there that you attended and spoke at just last month. ROBIN GRILLE: Yeah, the Findhorn Foundation is this wonderful community and it is so lovely. I’ve known of it since I was about 11 years old. I started reading books about Findhorn. They’ve been around since I think the late 50s and 60s. There have been many books written about them and now it is like an international education facility. There are all things to do with new ways of society and sustainable living, healing practices, etc. It is very vibrant and dynamic. 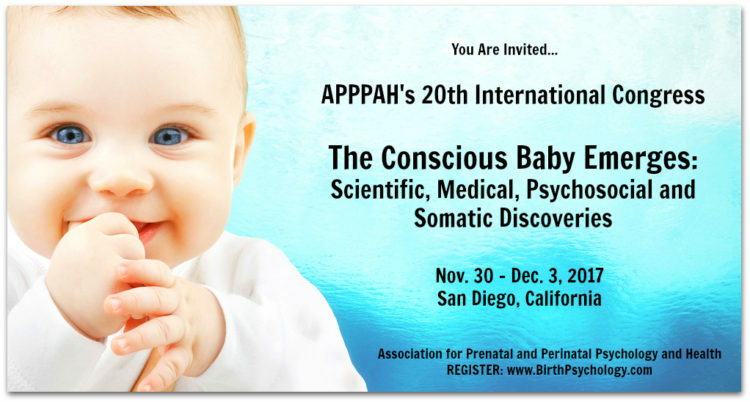 This conference was called Healthy Birth, Healthy Earth, which is in recognition of that. It is somewhat of how we should treat the planet and non-human family and non-human brothers and sisters and I guess I really want to refer to nature as family, you know. It helps me to remember that I’m connected and we’re connected and we’re not here to use the place. We’re here to belong. 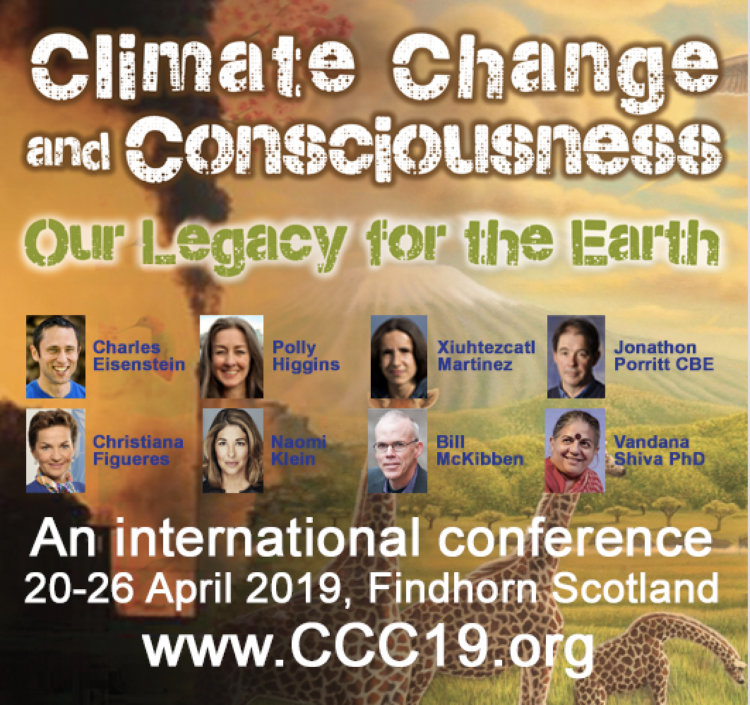 See Robin Grille at Climate Change and Consciousness: Our Legacy for the Earth! ROBIN GRILLE: And the way that we treat the earth is deeply deeply affected, deeply influenced by the way that we are born into the earth and the way that mothers and fathers are treated in their mother’s wombs and the way when we are born and those first few magical moments of life outside the womb in which so much imprinting happens and so much bonding becomes possible. There is just an extremely magical natural plan. I think of it as the love potion. You know the old the fairy tale as the love potion, when you drink it, you fall in love with the first person you see, you know that’s archetype. That is a myth that is allegorical or it is a metaphor for exactly what the design is for the birth of the human child because in natural birth, the flaws of ecstatic hormones are torrential. There is never enough a moment in the human lifespan that there is so much of that flow and the design is there that we look for the mother’s eyes, we connect visually. The naturally born child is quite awake and alert. The design is to fall head over heals in absolute physical love with one unique and irreplaceable specific individual. Attachment is about specific individuals. We connect with this one person and it’s mother. Dad at the beginning comes a very very close second. That’s the beginning. That’s the foundation of emotional intelligence. That deeply influences the way that we grow into connecting or failing to connect with the life force that surrounds us as we grow and really the way that we devastate and exploit this planet with absolute impunity to the point of putting our own lives catastrophically at risk is just a no brainer given the violence under which the majority of people are born. And that, Lisa… this conference was with obstetricians, midwives, and doulas, and medical anthropologists examining the state of affairs in natural birth how that is going around the world and industrial obstetric birth. There is always a need for obstetrics and it can be lifesaving in extreme circumstances, but it is… that is not what obstetrics is about in the way that it is being used today and I came out of that conference both very thrilled with the people I met and the things that I learned and the love that it is in this international movement to reform childbirth, but I also came away deeply disturbed by how violating regularly childbirth is around the world and very frightened for what this is doing for the collective human consciousness. LISA REAGAN: Yes, so we just had an uptick in maternal morbidity rates in the US. That was in New York Times this month, big study that came out and showed that. We were already at the bottom of the pack for maternal and infant wellness against all developed countries here in the US. It’s out of control. It’s getting worse. When I look out to see discussions around what can we do, I was so thrilled to see the Healthy Birth Healthy Earth Conference, because I don’t see us creating more medical models to address this. It’s got to be way outside the box with a different paradigm and from a different place. ROBIN GRILLE: Yeah. Yeah. I cannot exaggerate the violence that it does to families and to the beginning of the human life to hit it with our defenses in industrial obstetrics. I call it industrial because it is a huge amount of business involved money. ROBIN GRILLE: And machinery that is used way way way past where it is actually required and I was absolutely gobsmacked to discover how radically unsupported by anything scientific this is. There is no science behind hospital policy to attack the mother’s body with these machines in a way that just really really hits the baby very hard as well as the mother. No wonder we have the kind of postnatal depression rates that we have and it is hurting human consciousness. It is making it more detached and disconnected. LISA REAGAN: Right from the beginning. ROBIN GRILLE: Because you effect at a time of huge vulnerability and there is a biological expectation for great blissful bonding and delicious bonding at that very window of opportunity, we’re radically altering the biochemical bias that the baby’s neurology swims in and we are priming the brain of the baby towards dis-associative states and that stays with you. ROBIN GRILLE: That stays with you. Unless it is some great great healing that comes later in life, which is highly possible, but if it doesn’t, we stay disassociated, detached, and there is a whole range. If you look at the Primal Health Database, there are tens of thousands of studies looking at the impact in every area of human wellness. LISA REAGAN: Is this the Michel Odent Project, the Primal Health Research Database? ROBIN GRILLE: Yes. Absolutely. Michel Odent, MD. I mean, he is not writing this. He just has got a thing that collects peer-reviewed articles from medical and psychiatric journals. I mean the evidence is absolutely in the bucket loads. Absolute A-Z of human dysfunctions psychological and neuropsychological that can last a life of a result of this really atrocious way that we are birthing children in this earth. I mean I am talking about rates of cesarean in some countries in South America that are up to 80%. ROBIN GRILLE: There is no, I mean, that is just an outrage. There is no excuse for that. 80% cesarean, that is rubbish. I am only just talking that is just the tip of the iceberg. We do have a problem on our hands. Alot of other things are getting better. This is getting worse. So I have to say that I was moved by the conference. I was, you know, profoundly honored to be there and to contribute and I was also very disturbed and I have come away with a sense of great urgency. We’re not going to change politics by voting differently. We need to start from the ground up and the first place to change is how mothers and fathers are treated around pregnancy and birth and how babies are born. That’s even deeper than the whole attachment revolution that is very well understood now. There has been a taboo when it comes to talking about childbirth. It is time to lift that taboo and to recognize the urgency and to get busy. I will also tell you that in the middle of my despair about this whole issue, I have also been very heartened to discover that there are big moves too. This is a recognizable human rights issue. This is not just… this is no longer kind of just mothers who are activists for natural birth. There are human rights lawyers, obstetricians and midwives and medical anthropologists, so a very broad range of professions, who decided to roll their sleeves up. This has been made into a human rights question, a human right to be born naturally unless there is a really really clear and incontrovertible need for medical intervention. It is a human right to have your psychological needs thoroughly met at the prenatal and perinatal stage because there is a need for blissful connectedness as we enter into the outside world. That’s the plan. That is the natural plan. Nature does not like to be messed around with as we all know. That stuff comes at a great cost. We don’t mess with that stuff. I have discovered these human rights activists. I shouldn’t say I’ve discovered them. I have come to this very late. I have been told about this recently. They had big big conferences. The last one was in The Hague, Netherlands, and the next one was in India in 2017. I think they’re called Childbirth and Human Rights. LISA REAGAN: Yeah, Human Rights in Childbirth. So I have to give out resources. So the Human Rights in Childbirth website is humanrightsinchildbirth.org and then the directory that you were talking about that has thousands of articles linking birth to adult wellness issues is primalhealthresearch.com. ROBIN GRILLE: Yeah, you do that really well, thank you Lisa. I am glad that you are putting those resources out. As many people as possible need to find those out and we all need to get vocal. This effects everybody. It doesn’t matter even if you don’t have any children and never will and don’t want to, that’s absolutely fine, but it effects everybody because you know, I can say it again until I am blue in the mouth but what we do to children is what they will do to the planet when they grow up. ROBIN GRILLE: I famously misquoted Pam Leo there. But she put that quote there better than anyone else. But all credit to Pam Leo. 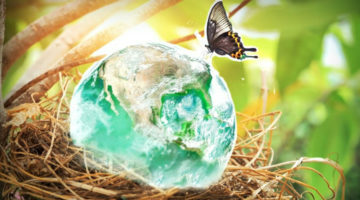 LISA REAGAN: But then there is Thomas Verny, who was one of the founders of Birth Psychology, and his quote is, “Womb ecology becomes world ecology.” So he takes it back even further. He takes it to what we know about what’s going on in the womb as the child is being formed. The brain is selecting for how should I live in this world? Is my mother terrified? Do I need to forget about creative thinking and go for the amygdala development? We know that is what is happening now in utero. There is a wonderful, by the way, In Utero documentary out there, so on one hand, when I talk to you, I feel like there is so much coming forward now, and this is the purpose of Kindred – to try to help everyone have a place to go where they can see what is happening because there is so much across different fields. As you were saying, all of these different professional representing different fields are coming forward to take this message back out in their professions. But this kind of leads me where I wanted to end with you and that is, Joseph Chilton Pearce passed in August 2016 and I did get to see him before he passed and I know we have a wonderful interview with you sitting in rocking chairs talking with Joe. ROBIN GRILLE: I’ll never forget it. I’ll never forget that. LISA REAGAN: So Joe’s work began in the 70s and, I didn’t want to be naive or simplistic and say, “how are we doing since then” because the world is changing and is so much more complex, but it is very frustrating today, looking at the gap between science and public policy, so what do you think overall? It seems like a critical time, but…? ROBIN GRILLE: Yeah, look, I’ve got two thoughts about that question… On the one hand, I think we need to be respectful of the sense that we are living in an ice age moment. So there are no predictions to be made right now. That it’s all going to be okay or that it won’t be. Right now, I would like everybody to not look for a prediction. Don’t let life happen, you happen to life. So let’s turn this into intention rather than prediction. Everyone has a unique gift to contribute and a unique voice and a unique calling and what will I put into, you know, the drive towards cultural creativism and the neuro-social evolution and a new world. But at the same time, I think there is a lot of reason for great hope because while there is a backlash going on and a backlash would be pretty terrible and I have already spoken about that and we are seeing it politically around the world, not just in the United States. The things that are growing are in terms of a whole new way of organizing society and relating to the environment. There is so much of that going on. In moments of despair when we think, is it worth it? We really need to go out and look for that stuff, because that is what refuels and re-encourages you to keep doing the reform work that we all need to do. We need to change birthing. We need to change early childhood and we need to really change education and then at the same time change how we make things and how we grow things, our food and stuff, etc. It is happening. It is really really happening on so many levels. You know, in my books and in my talks, and in my articles, etc, I talk about spectacular changes in even Hong Kong is starting to do homeschooling and they are resisting homework, etc. These changes are coming and it is reflected in the way that I am continually finding new and incredibly thrilling things in the world of business and in the world of the manufacturer and the world of growing food. There is a kind of a movement away from the straight line towards the circle. I could give you examples. I do not want to leave it too abstract, so I want to give you some examples. ROBIN GRILLE: Look, if you had ten hours, I could speak about this for eleven hours. The abundance of exciting things, but it is important to know, but it is not like we had one kind of, you know, we don’t have a Nelson Mandela or a Ghandi that will come and save us and it is all busy work. Most of the good things that go on, you won’t know they are there until you go looking for them. So you need to do that so we don’t despair. 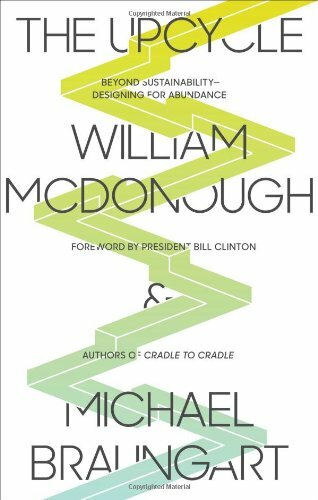 One of the things that I am absolutely wrapped in is the work of William McDonough, designer and architect who has been immensely and internationally powerful at re-articulating the absolute core philosophy of how human beings should make things because we are the apes that make things. He said that up until now, we had been using a linear model, which he calls take, make and discard. You take something out of nature which is kind of a violating, it is a theft. You rip it out, like you mine it out. You make a hole or you chop it out or something. Then you make some stuff. You use it and you chuck it. You make a mess. You make a toxic waste dump from it, which is poisonness to the earth. At every stage, that is a violent destructive process. Now a lot of people think that’s just what humanity is. No it’s not. Living in this linear productive fashion is a symptom. The violence that has been done to us in childhood has become the violence that we do to the environment and we get cognitively trapped in that under the delusion that is the only way – and I promise you that is absolutely rubbish. Here we are with the work of people like William McDonough and many others who have re-articulated the circular economy where you don’t mine the earth anymore, you mine whole things. Now I think about this and it makes me feel quite ecstatic. Everything is in a circle. There is absolutely no technological reason why everything, absolutely everything cannot be 101% recyclable, reusable, upcyclable. There is now an international, it is called a cradle to cradle certification. If you make a product, it doesn’t matter what it is, a car, a chair, a television, a lawn mower, if you make that product in a way that makes it at least 95% recyclable and if you can prove that you are treating your workers really fairly and equitably, so around the entire circle, everything is sustainable and loving and there is a filter that you must pass through, then you get this international rating of cradle to cradle. I am now sitting on my cradle to cradle certified task chair, an office chair. Made in the United States. It is my favorite thing that I own. I am in love with it. It is intensely comfortable and when it falls apart one day. It hasn’t even started to. I’ve had it for several years. When it falls apart, I can dismantle it in ten minutes and every single item is 100% recyclable. That’s a model for the economy for the whole world. LISA REAGAN: Yeah, yeah. I know you’re talking about things and products right now, but I always like to point out when we get to that place of moving into materialism that this is based on either, as you say, the linear, take, make, and discard, or the circle, which is a symbol for wisdom, and what sociologists like Paul Ray say is the purpose of those people that you just called on to live intentionally instead of waiting for somebody to predict what is going to happen for them to start living intentionally. This whole wisdom model, I love it. This is wonderful. This is where the quality of our consciousness comes into play. ROBIN GRILLE: It really does. Yeah. The circle applies to everything. I’m not just talking about the chair I’m sitting on. This is really growing around the world. I don’t know if you’re aware, for instance, but Sweden has run out of garbage. They have a crisis in so far as they’re not producing enough rubbish. Can you believe that? LISA REAGAN: Two things, I want to wrap up our hour together, but I again, want to leave our reader with resources. Could you talk a little bit about Heart-to-Heart Parenting? Because I think this is a resource for where you want to go, whereas Parenting for a Peaceful World can show you culturally where we’ve been, but you do have a path out and you have created that path. I also want to mention the virtual retreat “Inner Child”. So we have resources for our listeners. ROBIN GRILLE: Yeah. You guys have got fantastic resources. In my book, the difference between my two books, a lot of people do use Parenting for a Peaceful World as a parenting resource, but it also has a lot of this sociology and psycho-history and you know, it is kind of a social progressive sort of handbook. Teachers use it a lot. School teachers and all kinds of health practitioners as a textbook. Even though it is not written as a textbook, the language is designed to flow and be easy to read, but it is very heavily referenced to science. The other book, Heart-to-Heart Parenting, is much more conversational and more concerned with just the family relationships. It is much more personal. It is what our children need from inside the womb all the way to primary school age even though some of the communication skills that are shown in the book can apply to, you know, our relationships to children of any age, 17, 25-year-old, your partner. But it also, in looking at early childhood in particular, it also, that book looks very very much at the needs that parents have. You were talking earlier about how it is very hard for mothers to discover that baby’s need breastfeeding if mothers aren’t at the same time being given the kind of support they need. Heart-to-Heart Parenting doesn’t put the baby first, it puts the whole family first. Feed the parents so that the baby can be fed. The goal of that book as a parenting manual is a more pleasurable life. LISA REAGAN: So not child or parent centric, but family. ROBIN GRILLE: Pleasure is kind of the guiding… and by pleasure I don’t mean hedonism. I mean heart pleasure. I am talking about bliss and I’m talking about joy. That’s the guide. I think a deep state of contentment, joy, and even bliss and ecstasy are symptoms of connectedness. 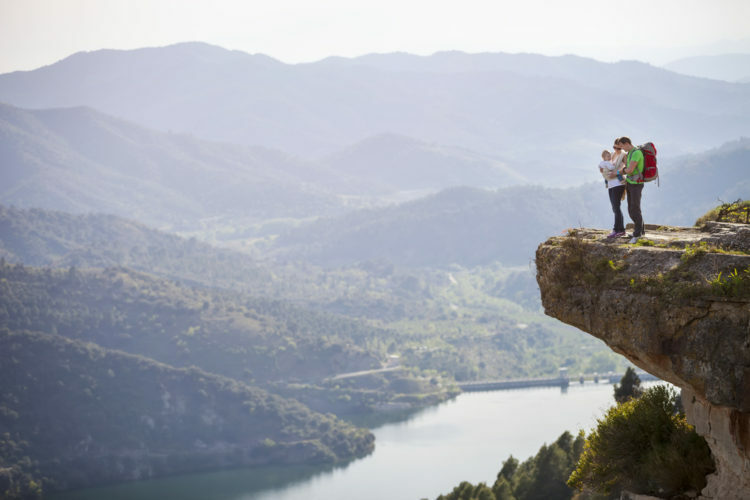 As we understand what drives human connectedness in our communication, we can open our hearts to each other. You know, when you start feeling like you are really enjoying the process of parenting, not just trying to get it right, but really really enjoying it, right there is your feedback, your biofeedback that you have found your places of connectedness, that shifts and changes through the different developmental stages of your childhood. Right there, that is what Heart-to-Heart Parenting is about. I want the pursuit of happiness. That is too humble of thing. We need to add an extra amendment to the bill of rights, Lisa. LISA REAGAN: You cut out just a tad. You cut out just a little bit right there. What about the bill of rights? ROBIN GRILLE: We need to add a new amendment to the bill of rights, Lisa. LISA REAGAN: Oh, a new amendment, okay. ROBIN GRILLE: Because I think the pursuit of happiness is too humble a thing to ask for. It is the… I am thinking about the human right to the ecstatic peak experiences moments of bliss in our life. It is the pursuit of bliss in our life. 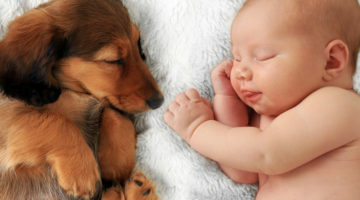 It is the biological birth right that is designed into every human body. Let’s add that in. It is important and necessary. LISA REAGAN: Well, I love it. I love bliss and ecstasy a lot better than happiness in the US has been marketed as something you buy. I don’t know that word has a whole lot of meaning that it used to have to it. It is more of an anxiety word. How can you be happy? How can you be happy? Why aren’t you happy? ROBIN GRILLE: It is co-opted by commercial interests, you know. You will be happy. Happiness comes from property. Never a bigger lie was ever told. Everyone says you can be rich and not happy and still no one listens. That’s not entirely true though. People are starting to listen to that more and more. But yeah, absolutely. The pursuit of blissful connectedness, let’s call it that. LISA REAGAN: There we go. Well, thank you so much, Robin, for giving us a tour of where you’ve been and where Parenting for a Peaceful World is going. That is all really wonderful news and I can’t wait to talk again so we can see what is happening there with E. Diversity in Hong Kong that’s bringing the book then into China. I want to ask everyone to go to Kindredmedia.org again because we have a whole collection of Robin’s Parenting for a Peaceful World videos and as you can see from his tour here a few years ago, we have lots more in the hopper that will one day make it to the site and yes, that’s a plea for donations that you can also do on the site. So thank you again, Robin.